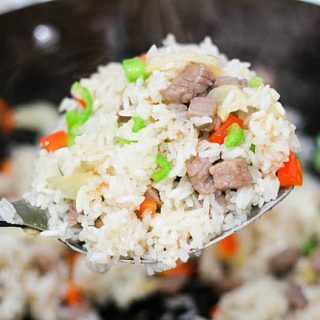 Great beef fried rice with garlic and green peppers—蒜香青椒牛肉炒饭. I visited a small Muslim restaurant near my dormitory during my university life frequently for my favorite beef and green pepper fried rice. 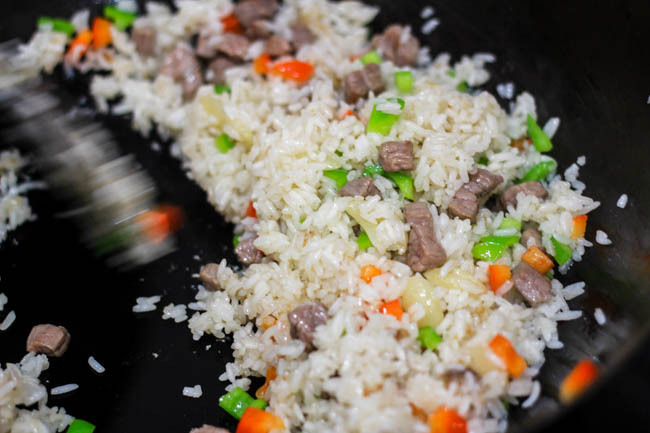 We are passionate with fried rice especially Yangzhou fried rice and Guangzhou fried rice. 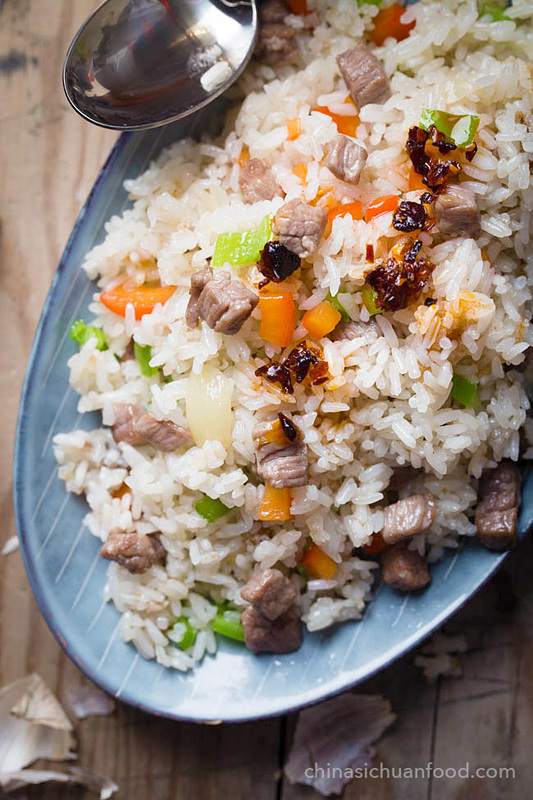 This beef fried rice is quite different from those two famous types because there are no eggs, no shrimp and no green peas. 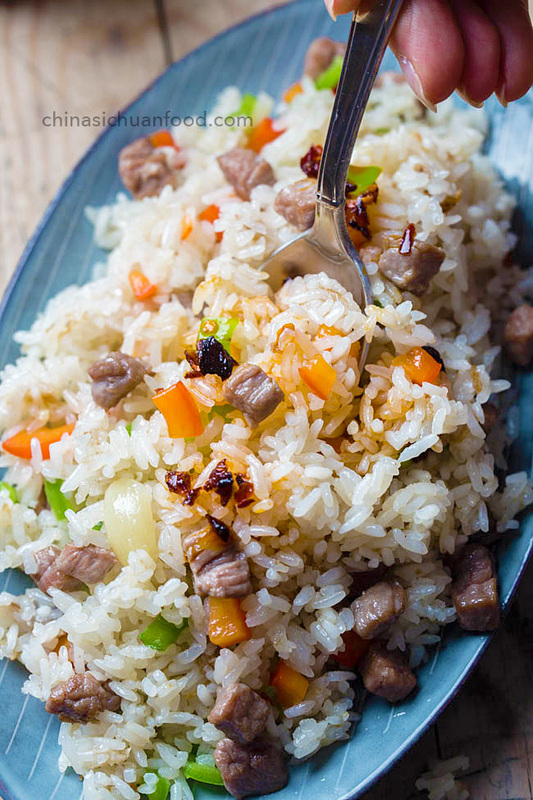 It only contains beef, garlic, fresh peppers and rice. 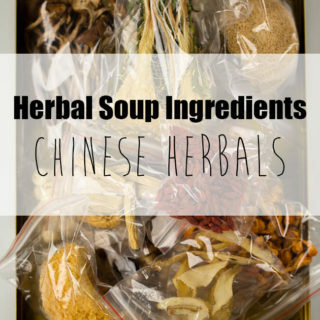 But it tastes quite unique with a combined aroma from garlic and beef. 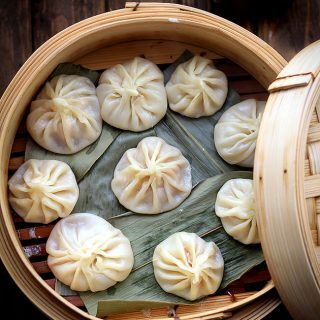 And the most satisfying serving is to drizzle some Laoganma crispy chili oil before enjoying. 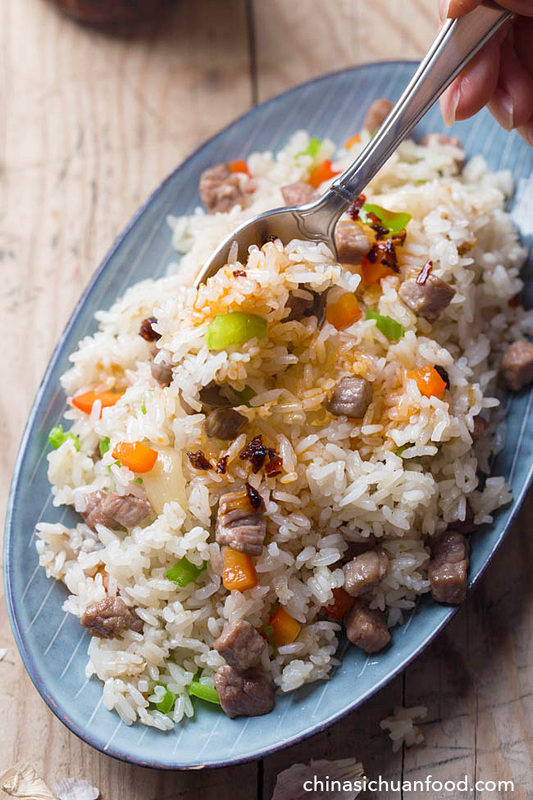 That’s why you find no hints of other seasonings especially salt in this stir fry rice. 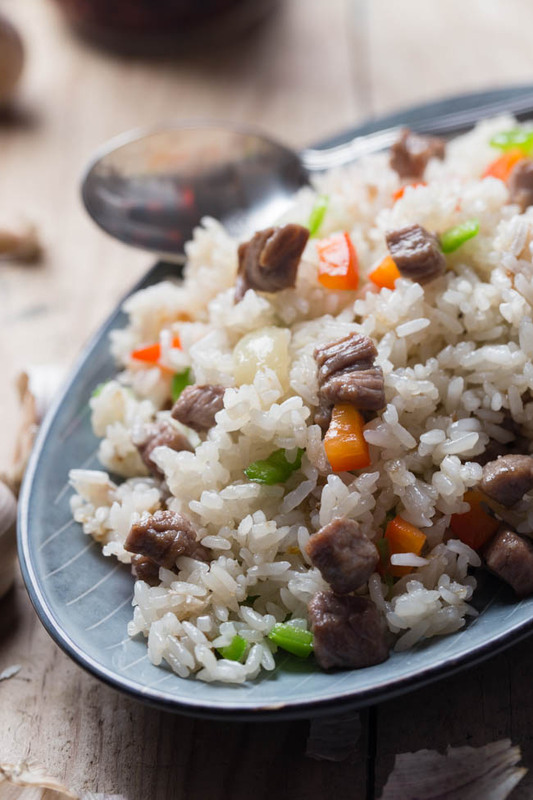 1.When you plan to make fried rice at home next day, I suggest you cook the rice previously and slightly reduce the water, use a ratio around 1:1. Do not add extra water!!! 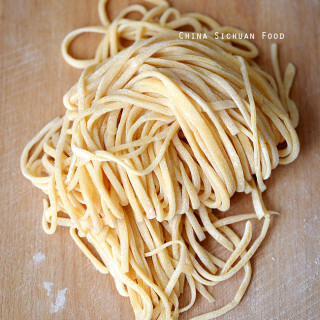 2.It is quite important to separate the grains before frying. To achieve this, spread the cooked rice on a roasting pan. And place in drafty room. 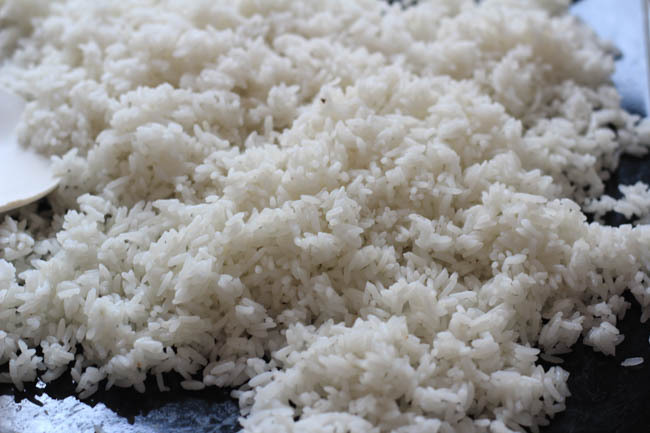 In hot summer days, freeze the rices and rest to room temperature before using. 3. 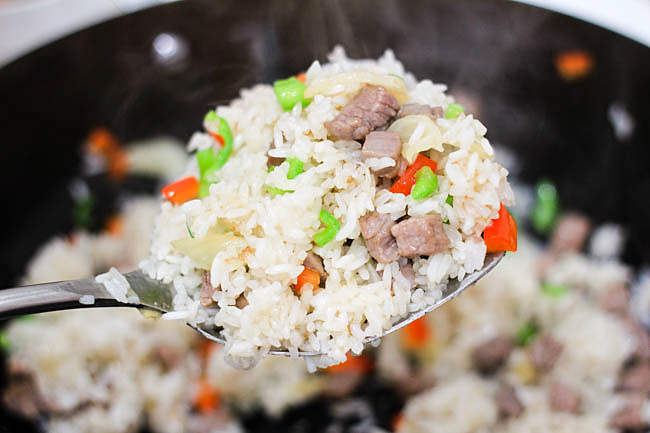 Try to finish the fried rice within 2 minutes after adding the rice. 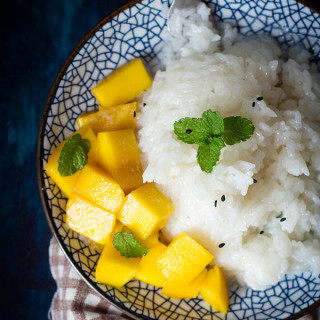 Do not let the rice over-heated, otherwise they becomes sticky and form into chunks. 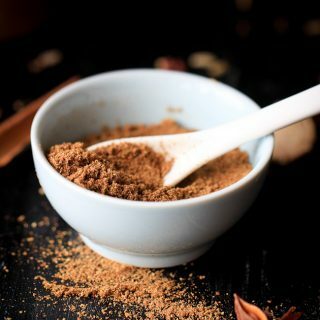 In a small bowl, marinate beef with pinch of salt and light soy sauce. Set aside for 10 minutes. 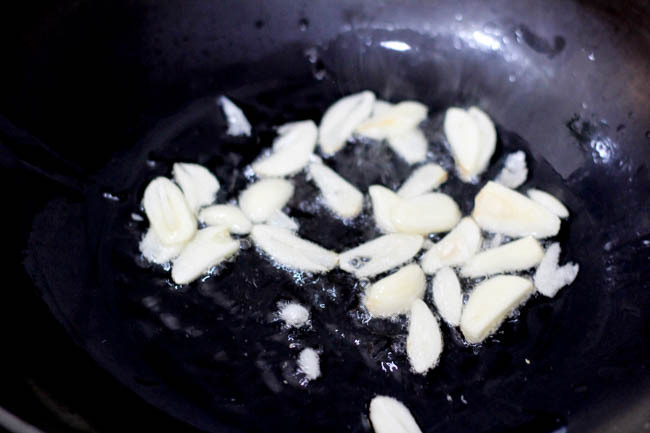 Pour oil in wok and add garlic slices. Fry over slow fire until aromatic. 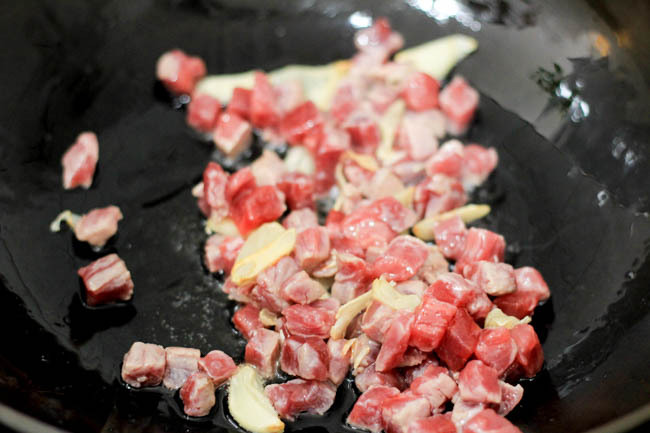 Add diced beef and fry until almost cooked (the beef begins to turn color on surface). 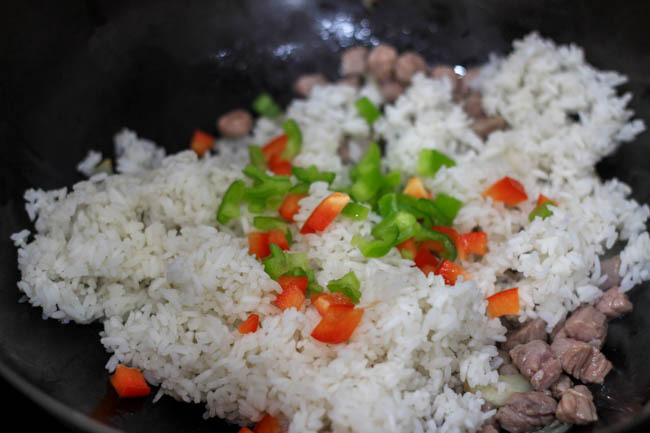 Place rice and fresh pepper dices in, add a pinch of salt. 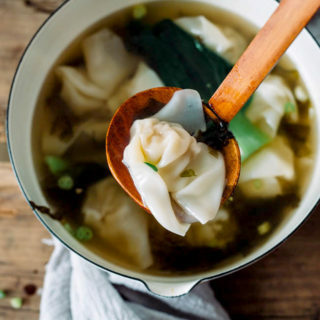 Give everything a big stir fry to mix everything well. 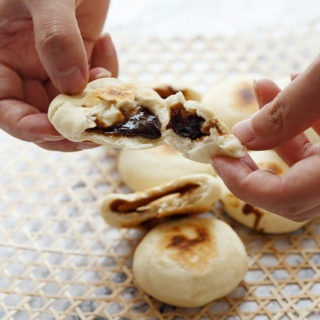 Serve with Laoganma Crispy chili oil.